Eight students of Delhi School of Journalism have been suspended for allegedly disrupting the administrative work. The students have been protesting since Monday. A letter was issued to notify the students about their suspension. The students were demanding the basic facilities in the college. 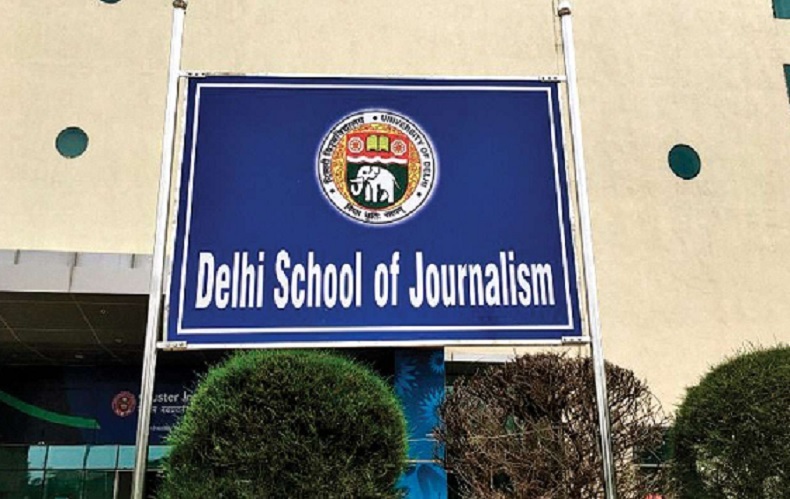 Delhi School of Journalism, eight students have been suspended on Tuesday for allegedly disrupting classes and hampering administrative work. The students and political groups have been demanding for basic amenities in the college. This came after a letter was issued by the college. The letter had mentioned the name of the eight students. Dated August 28, the letter issued by the college stated that the students had been suspended till further order, for repeatedly violating, a disciplinary clause of the university, by disrupting classes and not letting administration to complete their official work by blocking the entrance of the director’s room. The students and political groups have been demanding for basic infrastructure including media lab, working library at their campus and reasonable fees at DSJ. The Police were also deployed to handle the situation. Also, the students demanded a dialogue with DU vice-chancellor Yogesh Tyagi. Yogesh Tyagi had started the Delhi School of Journalism as his ‘dream project’ last year. Stating their problems, a 19-year-old, a second-year student, Neel Madhav said that there were four functional classrooms for 240 students. Along with it, there was no media lab, no library and no canteen. However, they have been charged for these facilities. Contrary to it, Manasvini Yogi, has denied all the claims. She stated that the school had all the required infrastructure and they were constantly trying to bring all facilities on the campus, Manasvini Yogi is an OSD at the DSJ. Elaborating further on the same, Manasvini while speaking to Mail Today, said that those eight students had been protesting since August. Two days ago, the 11 point charter which those students presented to us and the VC, had been fulfilled. However, the two points which stated to meet the VC and to join the DU student union, were not fulfilled. Talking about the days of protest, Tyagi added that those students were trying to disrupt classes by pulling out their classmates, by sitting outside their office and holding them hostage. However, the protest got intensified when on Tuesday, one of these students slapped a security guard. Even the Police were called in to look into the matter.